Overlooking the stunning roman skyline at sunset from the Pincio terrace in the Villa Borghese park in Rome, Italy. 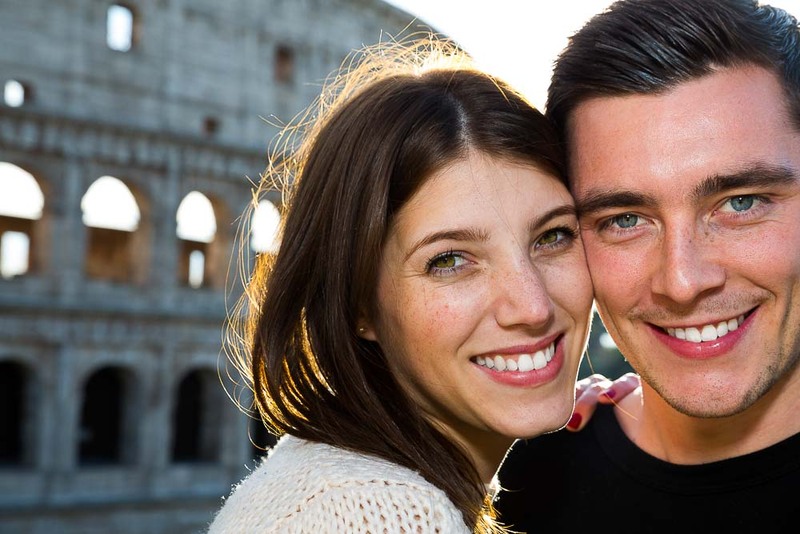 A wedding proposal carefully planned out to be at the right spot at the right time. With a beautiful YES! Photographed candidly by Andrea Matone photographer from a distance. After the great excitement we introduced ourselves and made acquaintance. And walked around the area for the engagement pictures. Snapping photos over Piazza del Popolo and with Saint Peter’s Cathedral in the distance. Thank you for trying out the reflection image in the car window! 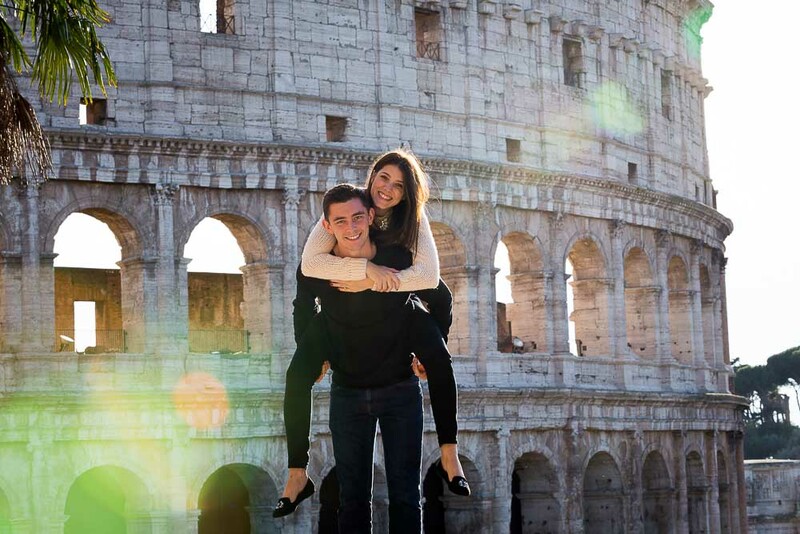 We hopped in the car and continued the photo session at the Roman Coliseum. Trying to achieve a silhouette picture like the one you see below. Then we moved around the space in front of this majestic landmark capturing some more interesting pics here and there. Including some very cool close up shots! Then we divided our remaining time between the Castel Sant’Angelo bridge and the Gianicolo water fountain. In the first location we found a beautiful soft sunset light which helped us achieve some really nice photography. 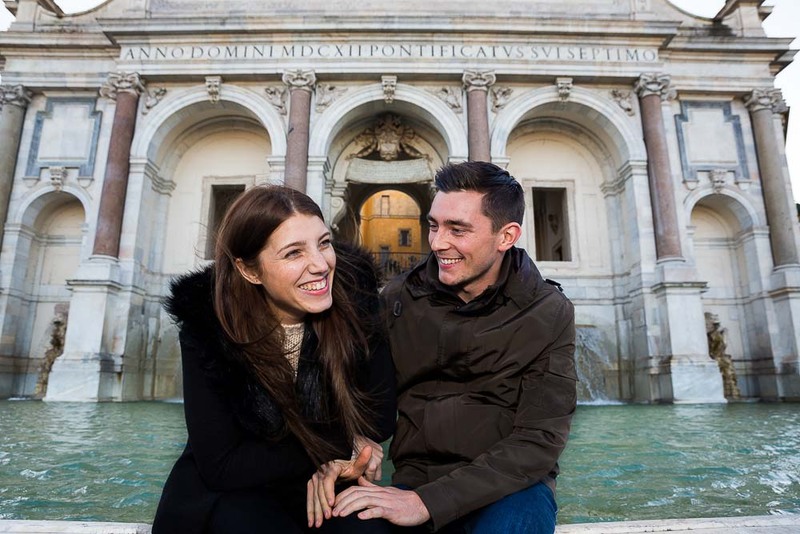 Our last pictures were taken at the Gianiculum hill with the beautiful fountain in the background. And overlooking the roman rooftops in the distance. Please find at this link all the details and information on surprise marriage proposal ideas. 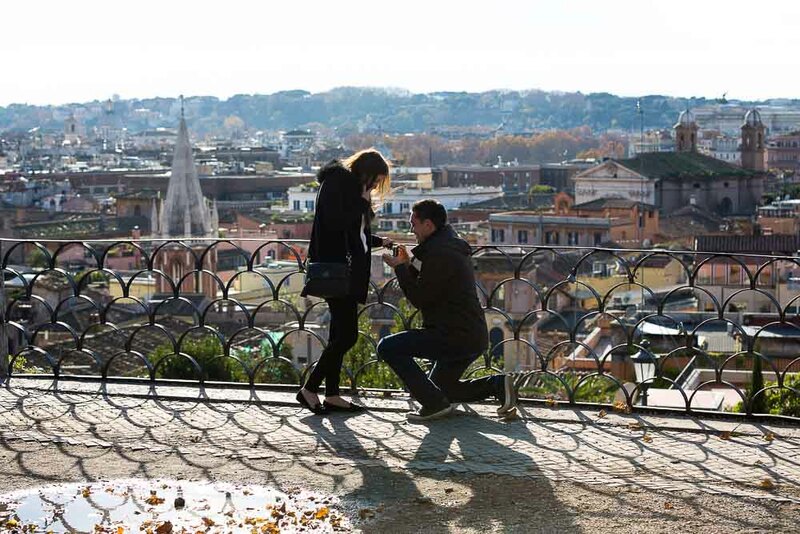 Proposing in Rome and jumping over puddles! Here is an on-going selection of best pictures from my Portfolio Gallery. 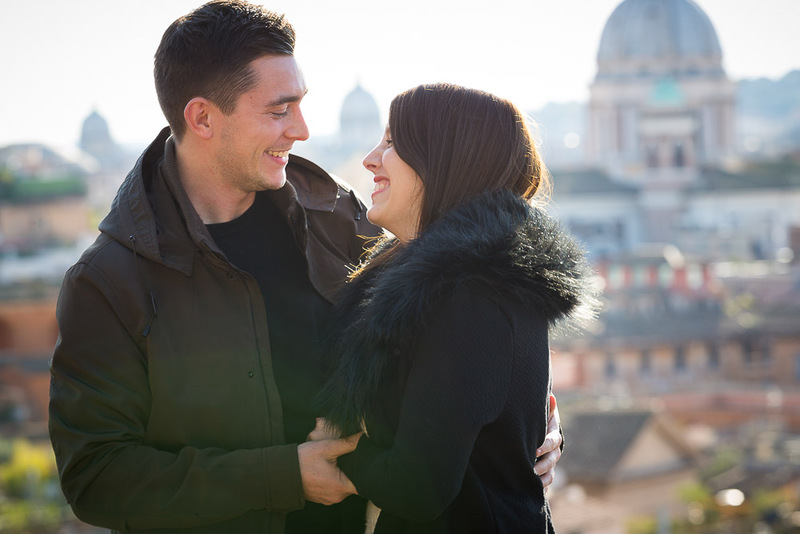 A romantic sunset proposal photographed at Parco del Pincio. Overlooking the beautiful roman skyline in the distance. Photographed from the sidelines by a professional photographer. 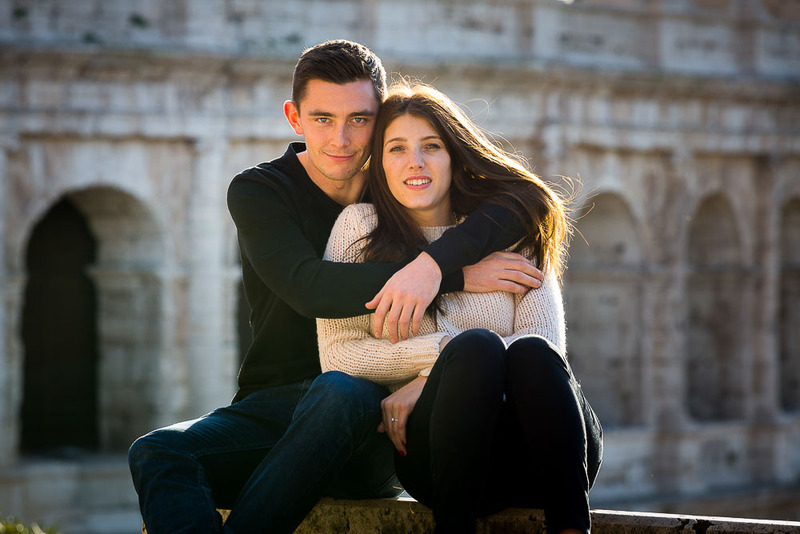 Followed by an unforgettable engagement photography session.